The Marciano Art Foundation’s mission is to present its collection — containing over 1,500 works by more than 200 artists — to the public. After opening late last week, it will host rotating thematic exhibitions in its new permanent space in Los Angeles. The space will feature “innovative commissions, site-specific installations, and the development of an active educational program for students of all ages,” the foundation announced. It is housed in a transformed building with a unique history: it is a former Scottish Rite Masonic Temple, built by Millard Sheets in 1961. The collection contains works by a mix of well-established, mid-career, and emerging artists, living and working around the world, with work predominantly created between the 1990s and the present. 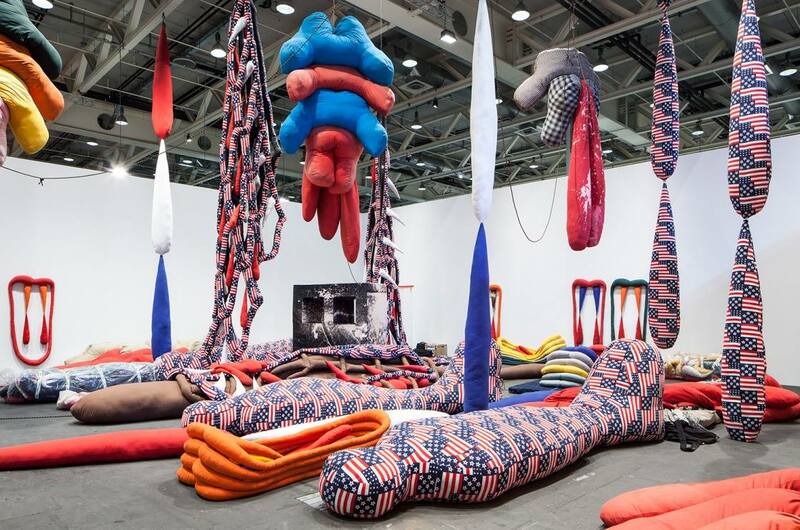 It embodies a variety of formal and conceptual approaches in all mediums, ranging from painting, sculpture, photography, and works on paper, to installation, performance, film and digital work. Many artists are collected in-depth, in an effort to track the evolution of an artist’s career. “Experimentation and evolution are two of the core values embedded in the conception of the foundation,” the foundation expressed in a statement. The inaugural exhibit, “Unpacking: The Marciano Collection,” on show now through December 24, includes works by Mike Kelley, Louise Lawler, Takashi Murakami, Albert Oehlen, Philippe Parreno, Jim Shaw, Cindy Sherman, Christopher Wool and more. Los Angeles has been the home for the past 35 years of the French-born Marciano brothers, Maurice and Paul: in 1981, the two moved to the United States from the south of France and founded a denim company that would eventually grow into the international brand GUESS. Their engagement with contemporary art developed through visits to galleries and auctions in Paris, New York, and Los Angeles. Drawn to the work of painters Roy Lichtenstein, Gerhard Richter, and Sam Francis, they soon began to spend time with artists in their studio, notably Ed Ruscha. The duo began collecting work, created from the 1990s onward, in 2006. In 2012, they decided they wanted to share their collection, resulting in the establishment of the Marciano Art Foundation. 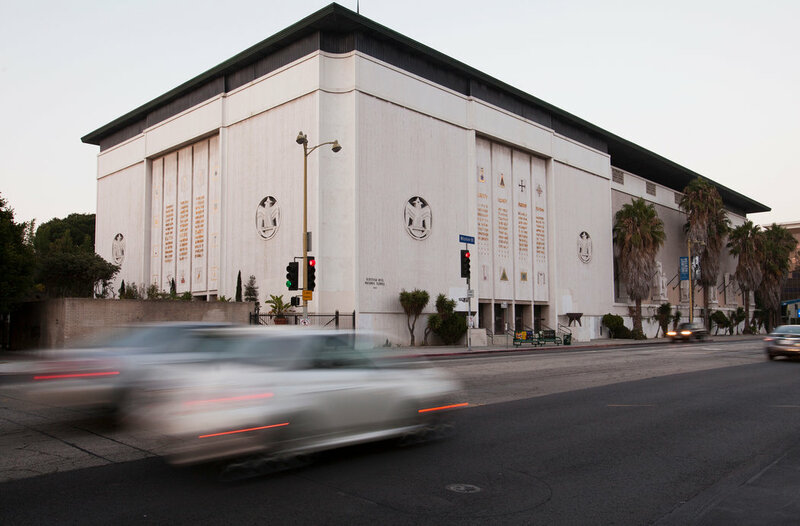 They purchased the Scottish Rite Masonic Temple property on Wilshire Boulevard, in anticipation of turning it into a contemporary art foundation, in 2013. Their aim was to participate in the vibrant artistic activity in Los Angeles, and channel it into their programming. Maurice Marciano joined the board of the Museum of Contemporary Art (MOCA) in 2012 and has served as Co-Chairman of the board with Lily Tartikoff since 2014.